Trying to make your office look and function more productively? Free standing glass cubicles are getting widely popular among the most successful offices across the globe. 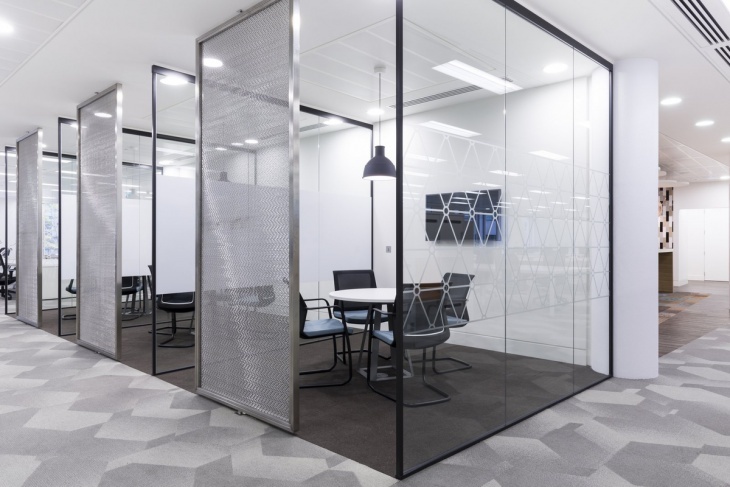 Glass partitions bring in several advantages including saving costs on concrete constructions, more effective use of light, making the space more airy, better surveillance over employees and offering the advantage of mobility. 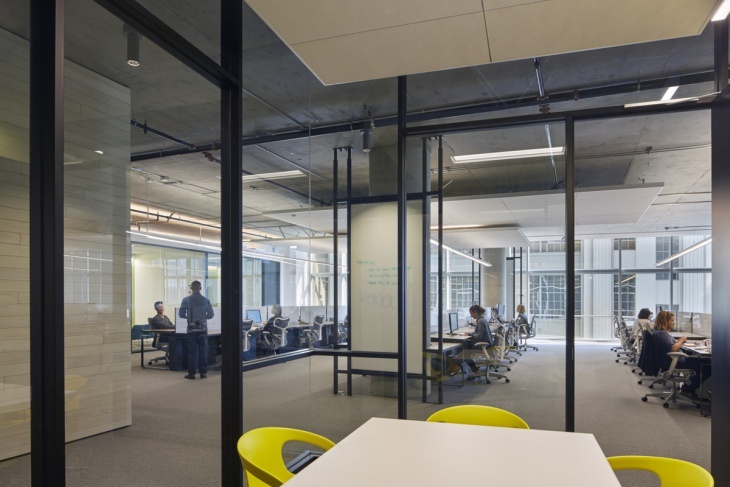 Further, glass cubicles also bring in a sense of privacy and looks good – better than concrete walls. 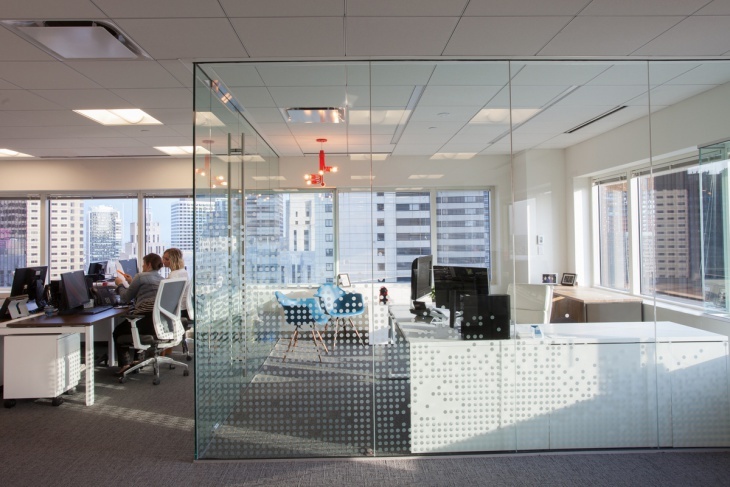 Here are some glass office partition designs you should check out. Glass is an incredible element to cheer up a rather drab space. Using glazed glass, you can choose to convert a single big room into two or three separate cubicles. 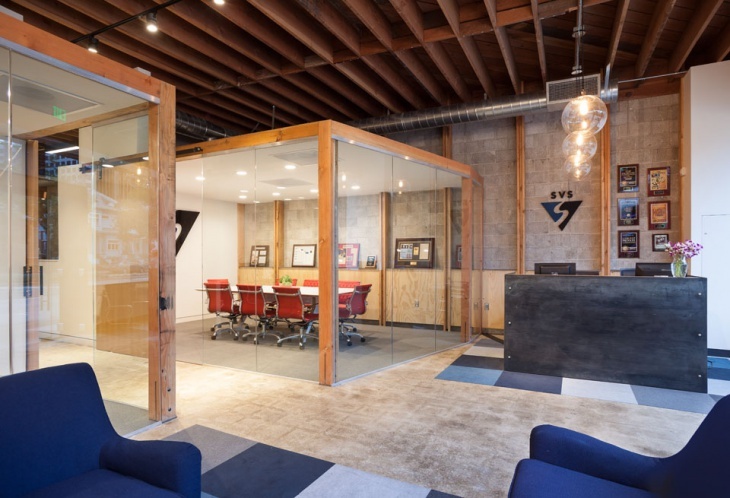 The same room can act as separate spaces for reception and a private office. The use of effective lighting will definitely brighten up the space, making work more pleasing. As already said, glass has multiple usage when it comes to office designing. 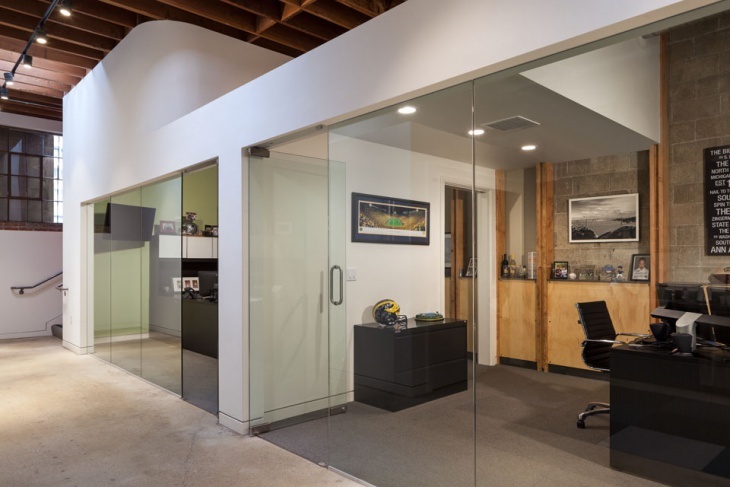 Sliding glass doors are one of the add-ons that create a more private space in an office while allowing easy access. Further, since these sliding doors can always be locked, you can hope to keep your space more secure and safe. Office cabins created out of glass partitions have become quite common nowadays. However, you can choose from a variety of glass quality and opacity to control the view, privacy and access to the room. 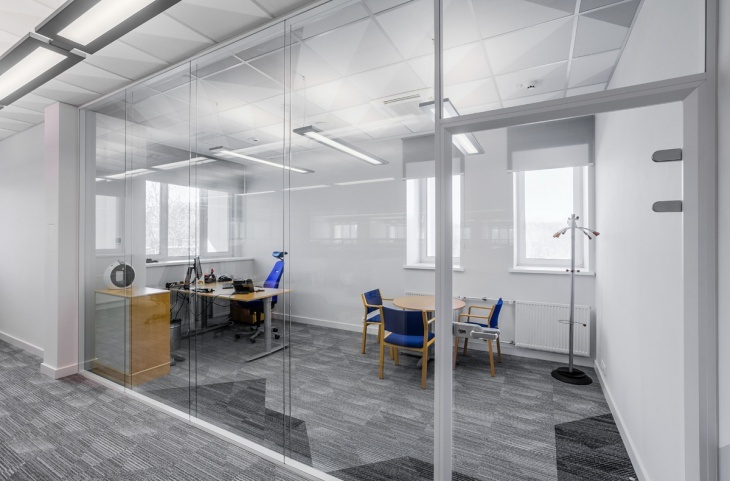 Further, glass partitions allow you to create a more professional setting and it looks good (official) in all terms. 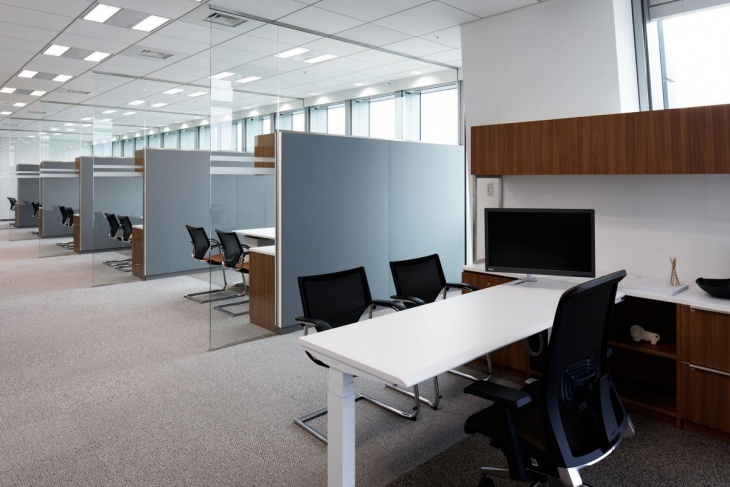 As with bigger cabins, smaller cubicles in the working area too can be separated from each other using glass barricades. This prevents intrusion into another employee’s work, while giving him the comfort and luxury of a private space. Walls can always be replaced with glass as long as the structural integrity of a building is kept intact. 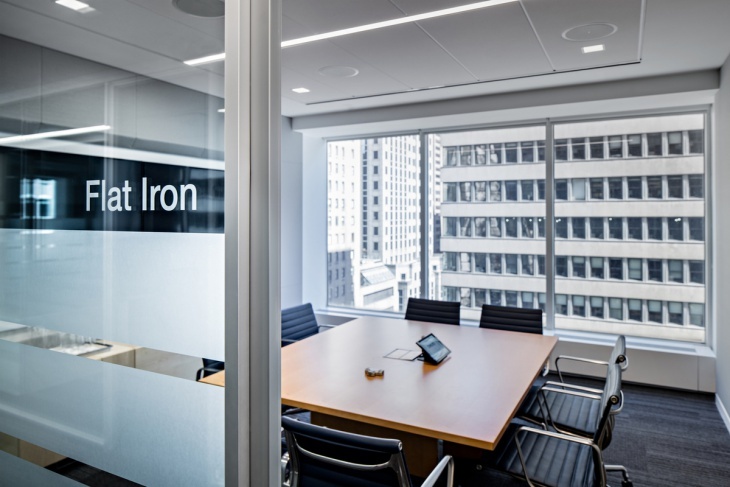 As shown in this example, big glass doors form the entry points into offices and it looks like a more transparent and trustworthy space than unseen offices behind brick walls. 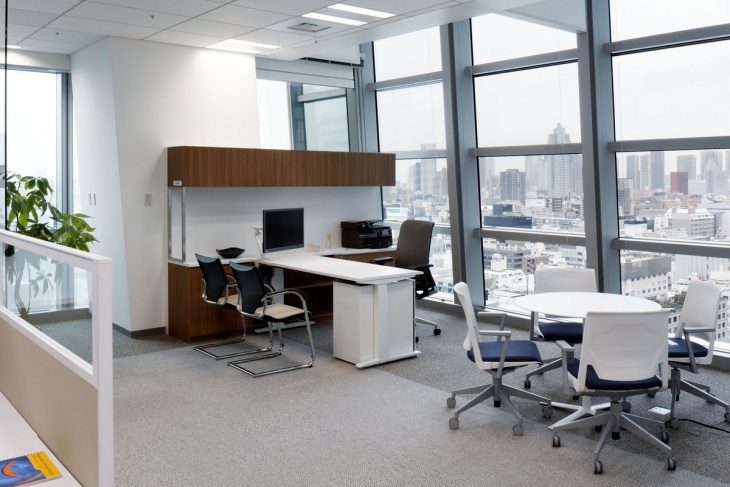 Office spaces need to have minimalistic décor and furniture to make work more productive and make the environment more airy. Leaving aside the minimal requirement, glass seems to be a perfect material to define a professional office space. 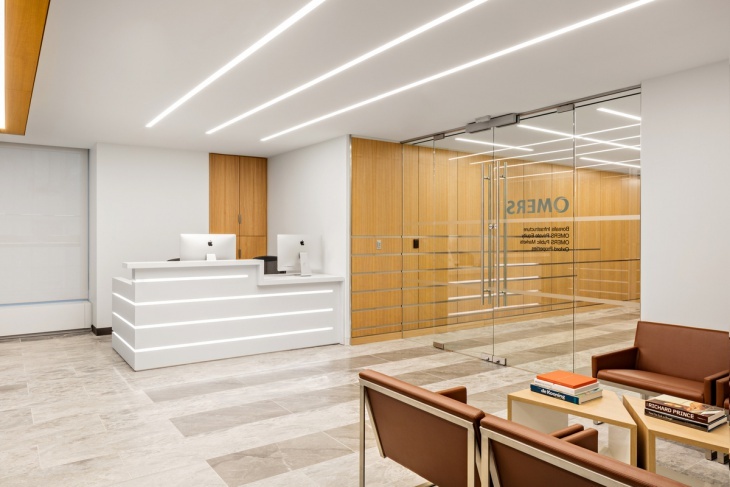 The use of recessed lighting and big glass walls always creates a professional looking environment. 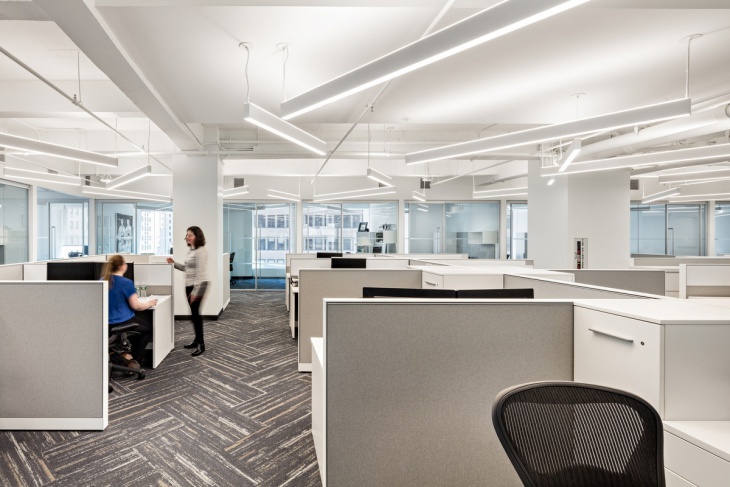 Since glass allows efficient dispersal and passage of light, all cubicles can be well lit using strategic lighting fixtures. 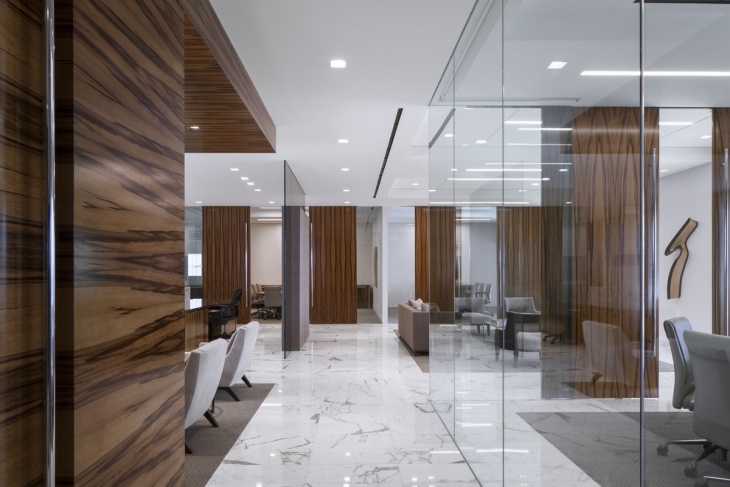 Using a mix of wood and glass to define office spaces is the most amazing way to go about it! While wood brings in the rustic charm, glass makes the space look ultra-modern. 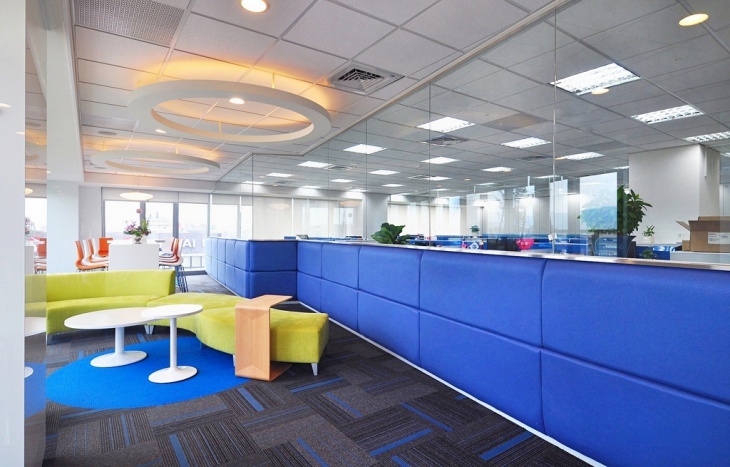 Together, they define office spaces that employees would love working at! 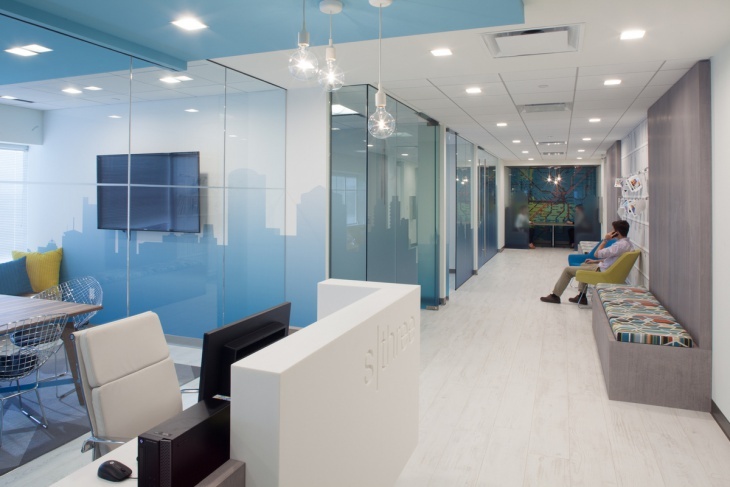 We hope you have found the right design for your office space. If you are already doing something unique in your premises, do share it with us.